YANGON—As recently as 2012, the internet in Myanmar was strictly censored, slow and very expensive. From 2013, the telecommunications market began to open up leading to a huge spike in the number of internet users, most of whom access the internet via their smartphone and primarily use Facebook. 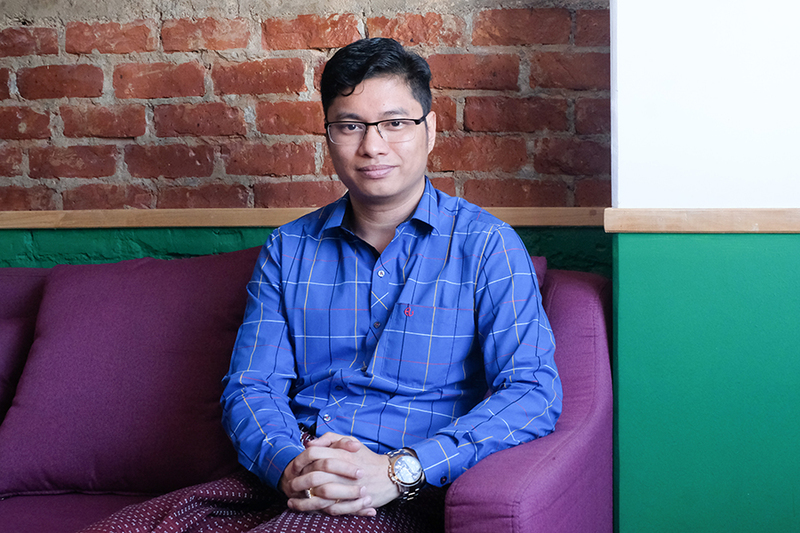 Since then, Yangon’s tech scene has gone from strength to strength and diversified with successes in travel (GoP), accommodation (Ezstay) and employment (Chate Sat) startups exciting observers of the region’s startup environment. Considering that less than a decade ago only about 1% of the population had access to the internet, this is significant. Neh Thit, also known by its English name “New Day,” is a local tech startup honing in on this proliferation of smartphone users and fast internet connectivity to provide easy-to-use technology that connects non-executive job seekers with employers. 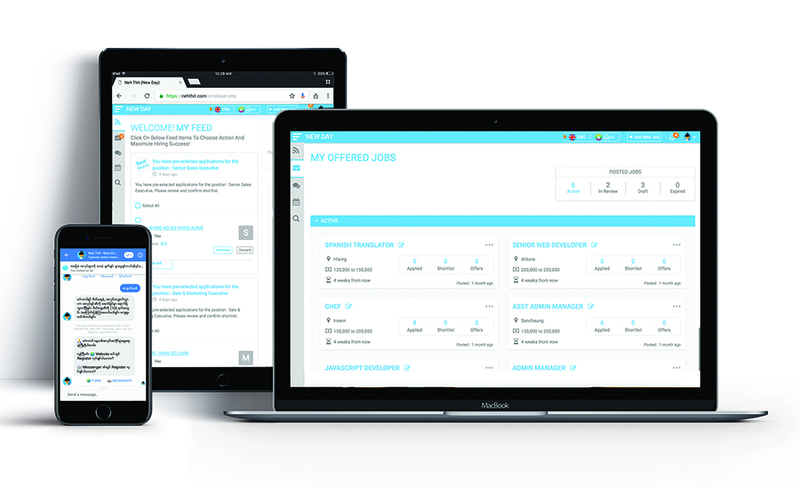 There are currently 50,000 job seekers and over 40 employers using the platform. In its first year, the startup won an award for innovation from MIT and soon after, was given a vital six-digit grant under GSMA’s Ecosystem Accelerator Innovation Fund. Neh Thit technology can be accessed by smartphone, tablet or computer. In early November 2018, the entrepreneurs behind Neh Thit pitched their startup alongside eight competitors at the Yangon chapter of Seedstars, an international startup competition, and came out winners, going on to attend the Seedstars Asia Summit held in Bangkok in late November. They have been invited to compete at the Seedstars Summit in Switzerland this April where the competition will be fierce with the global winner taking $500,000 for their company. 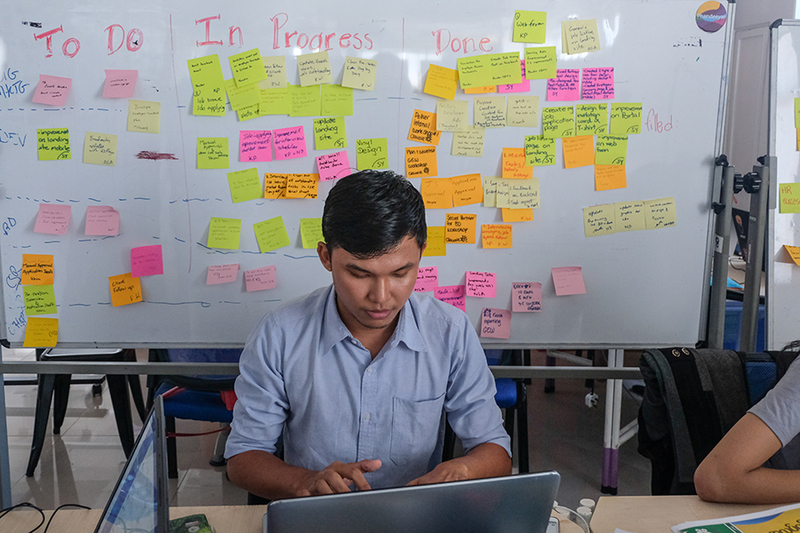 Based out of Phandeeyar co-working space in downtown Yangon, the first version of Neh Thit was rolled out in 2017 by a team put together by US-native Conor Smith who, after a number of years living in Yangon, decided to act on complaints he often heard from employers on the difficulties of finding and keeping quality staff. Now a team of 12 permanent staff, and a number of freelancers and advisors who pitch in along the way, run Neh Thit. “We are trying to help the community and generate income for low-level or entry-level workers,” said Ko So Phay Oo, Neh Thit’s head of operations who returned from Singapore after seven years to join the Neh Thit team. The team work on creating a win-win situation for both employee and workers. The Neh Thit team have developed chatbot technology which allows job seekers to start a conversation through Facebook’s Messenger or Viber. The conversation is automated and details are acquired from the user, including what field of work they are hoping to find employment in. The chatbot technology automatically creates a resume for them and presents a list of job opportunities suited to their experience and skills. They then choose and apply for whichever jobs they are most interested in. “We are collecting hundreds of data points, both demographic and behavioral, on our job seekers, which enables us to build full profiles that go beyond traditional CVs. We then apply a matching algorithm to best offer job opportunities to job seekers, and optimally pre-select and pre-interview our candidates to deliver a win-win for both employers and candidates,” CEO Conor Smith told The Irrawaddy via email. “In terms of internet connection, Myanmar is one of the fastest in Southeast Asia. We found that there are a lot of users who are really familiar with Facebook. But we found that only 5% of users are willing to download an application so we decided not to create an app just yet,” he said. Despite the high number of smartphone users and fast internet, introducing a non-traditional method of job-seeking was one of the challenges for the startup. “We are not only trying to build a product, we are also introducing a new culture of using a web portal and chat technology to find a job or employee which is quite difficult to implement in a short time,” he said. Employers register on the Neh Thit website, choose a pricing plan and list the details of the jobs vacancies they have in their company. “Our backend system uses HR technology that will automatically match resumes using our systems and inform the employer,” said Ko So Phay Oo. “We have found that we can’t just offer matches without additional assistances. To increase success rates of our job seekers throughout the process, we also offer recruiting guidance tools via chat-based online course curriculum. This includes application readiness, interview prep, onboarding prep, etc. So far, we have had over 1,200 candidates successfully complete these modules,” said Smith. The company’s first year was all about research, market observation and feasibility studies. The beta version of Neh Thit was launched in August 2018 and—as with all good startups—the team is constantly improving, modifying and adjusting their product while sticking to the concept. The company is proud of their office structure where everyone is on the same level—customer service, digital marketing, business development, management and finance and accounting—all work together and the equal respect and responsibility among team members fosters a positive team spirit and plenty of motivation. Neh Thit targets the entry- and mid-level workforce which is the mass market in Myanmar and includes non-executive jobs such as customer services, hospitality and sales and marketing. So far, they operate only in Yangon but they have plans to move to other urban centers in the future. The Seedstars summit in April is set to be an exciting opportunity to network with other startups and will provide a chance to meet potential investors as well as to attend seminars and conferences alongside their counterparts from international emerging and established markets. Going forward, Ko So Phay Oo says the company’s ultimate goal is to have full coverage of employers and employees in Myanmar. “We have made strong progress so far and we are excited about the momentum we have created, but there is still a very long way to go. We are still at the start of our journey, and we are driven to reach our long-term goal of creating an efficient jobs marketplace for non-executive employment opportunities across Myanmar,” said Smith.